Well this was unexpected. 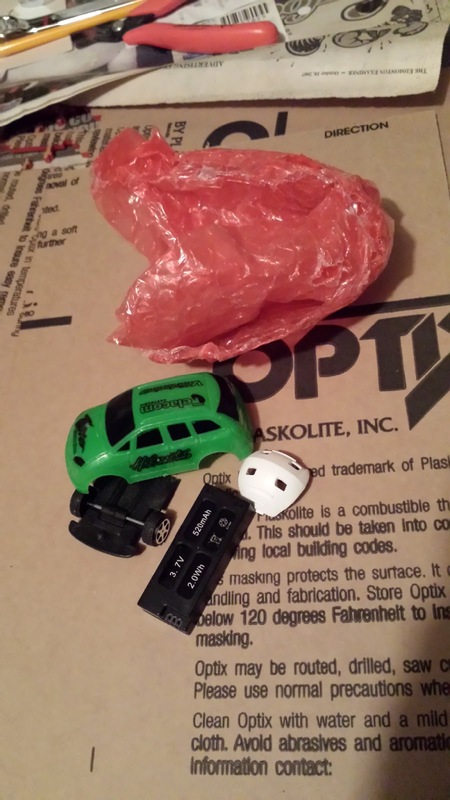 I ordered some small batteries from China several weeks ago. 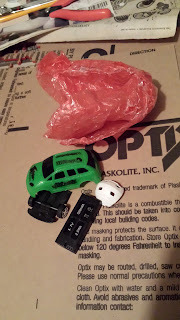 The other day, a package arrived. "Huh, there's something rattling inside here," was my next thought. 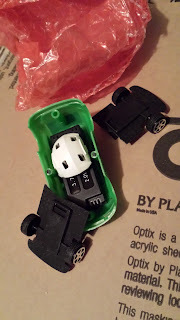 I broke open the cheap, hollow plastic car to discover a battery inside each. I suspect shipping in this way is due to recent changes the USA has made to shipping regulations. The USA says lithium-polymer cells can no longer be shipped by air, except as part of a device (i.e. installed as part of something else.) Perhaps this is an effort to obey that regulation in letter, if not in spirit.